In the early 1800s the persistent demand for more land by American settlers continued to alienate the Indians of the Northwest. The growing friction between whites and the indigenous people led to a pan–Indian movement to defend native lands and traditional way of life. Two prominent leaders of this movement included Tenskwatatwa, a religious prophet, and his brother Tecumseh, considered to be the movement's military chief. In 1805, Tenskwatawa gathered a new community of adherents at Prophetstown, at the confluence of the Wabash and Tippecanoe Rivers, in the Indiana Territory. The gathering at Prophetstown of a large number of Indians alarmed William Henry Harrison, the governor and commander in chief of the Indiana Territory, superintendent of Indian affairs, and commissioner plenipotentiary of the United States, along with other American leaders, who began to consider steps to eradicate the native threat. 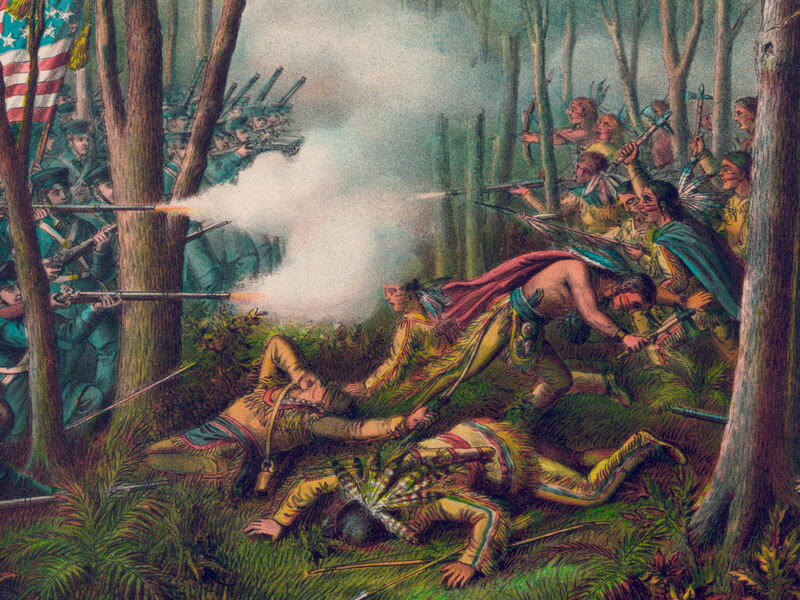 American troops under the leadership of General William Henry Harrison fighting the Indian forces of The Prophet, Tenskwatawa (the brother of Tecumseh) in a forest. 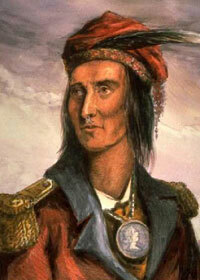 Tenskwatawa was part of Tecumseh's Indian confederation. 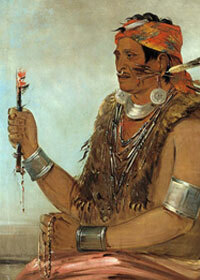 Painted in 1830 by George Catlin. Enmity against encroaching whites increased after some Indian leaders agreed to a treaty at Fort Wayne in September 1809, in which American negotiators led by Harrison obtained approximately three million acres mainly in Indiana's Wabash Valley. Tecumseh and Tenskwatawa objected that the Indian signatories did not have the authority to sign the treaty, and could not rightfully sell land commonly held with other native peoples. By 1810, Indian raids against white farms and settlements increased, as the Prophetstown leaders continued to spread the message of resistance to white intrusions into native lands. Rumors circulated on the frontier that the Indians planned to wipe out all settlers. 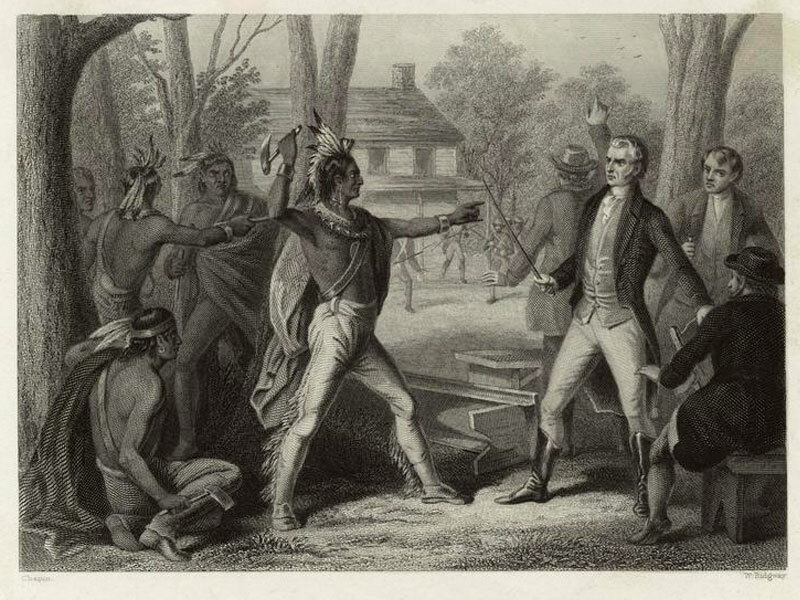 Harrison met with Tecumseh in order to resolve issues over land and the tide of settlers coming into western Indiana, but the talks accomplished little. By 1811, Harrison began to prepare for war with the Indians of Prophetstown. He placed little faith in the militia organization of the Indiana Territory. Instead, the territorial governor requested federal troops to defend the territory, and if need be, to join an offensive against the Indians. Reluctantly, President Madison agreed to send the newly raised 4th Infantry under Lt. Col. John Parker Boyd to Vincennes to protect settlers. 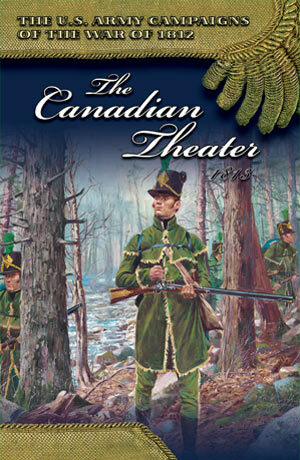 One observer claimed the regiment was "composed of the best materiel I had ever seen in any service." Nevertheless, these men were "raw troops." When Harrison learned that Tecumseh planned to visit various southern Indian tribes that fall, he recognized an opportunity to eradicate Prophetstown while the Indian military chief was gone. Along with the 4th Infantry, by October Harrison had mustered twelve hundred men, including one detached company of the 7th Infantry, a company of the Rifle Regiment (armed at the time with muskets), Indiana militia, mounted riflemen, and one hundred twenty dragoons from Kentucky and Indiana. Although Tenskwatawa made no overtly threatening moves against Harrison's command at Vincennes, the governor ordered his forces northward on 27 September "through an uninhabited country" toward Prophetstown, the army "being well furnished with arms, ammunition and provision." The army's march was "slow and cautious" as great care was taken to avoid ambushes, while most of the heavy baggage went by water. 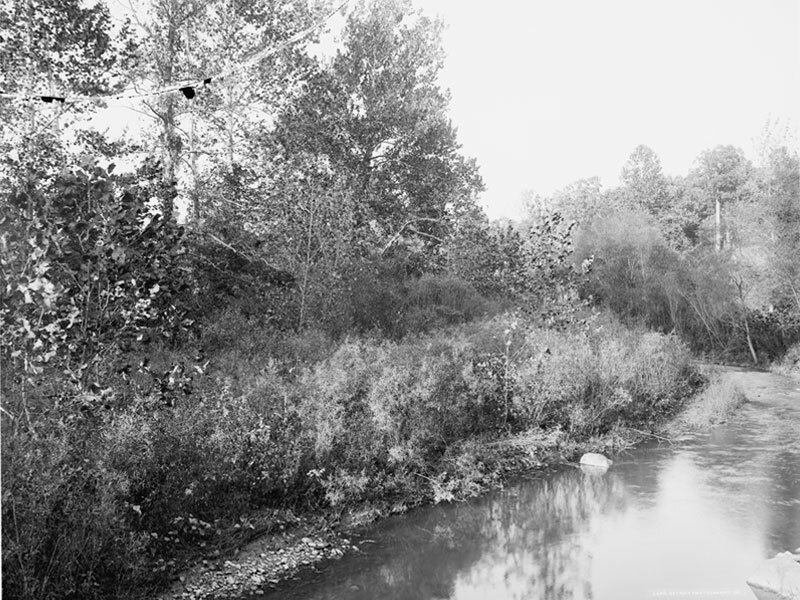 Three days later, the column reached the Wabash River at Battelle des Illinois, where the men camped and constructed a stockade they named Fort Harrison and several nearby blockhouses. After a few minor skirmishes and several additional attempts to negotiate with Tenskwatawa's representatives, the army continued its march over rough terrain toward Prophetstown on 21 October. Each night the column posted sentries and rose before daybreak to counter any potential Indian assault. By 1 November, in cold and rainy weather, the column crossed the Vermillion River and constructed another small blockhouse. By 6 November, the army had arrived within a few miles of its objective on the north bank of the Wabash and prepared to attack, although the Americans were unsure of the strength of the enemy. 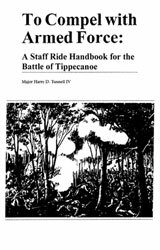 Reinforced by sixty Kentucky volunteers, Harrison's troops advanced toward the town "very cautiously" and halted in front of their objective, a move that "much surprized and terrified" the Indians, who took up "positions behind a breastwork of logs which encircled the town from the bank of the Wabash ," wrote a soldier of the 4th Regiment. After Harrison and one of Tenskwatawa's chiefs parleyed for a time, the governor decided to withdraw to a suitable campground for the night, anticipating a council with the Indians the next day. 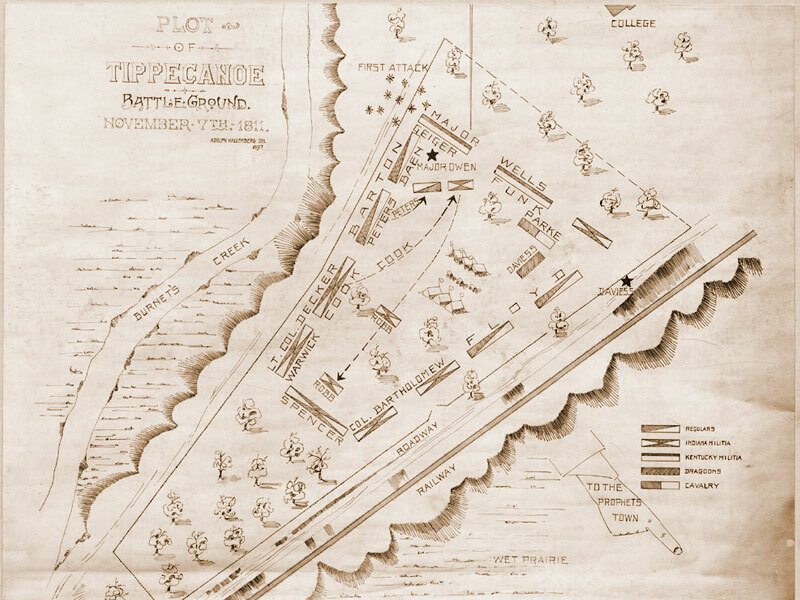 The army moved to "a piece of narrow rising ground, covered with heavy timber, running some length into a marshy prairie, and about three quarters of a mile north-west of the town" near the Tippecanoe River. The troops encamped for the night formed in a hollow square, and lit large bonfires to dry their damp uniforms and cook rations for the next day during a windy, cold, and rainy night. Wary of a surprise attack, Harrison ordered the troops to sleep with their loaded arms nearby, with cartridge boxes on, bayonets fixed, and to form a line of battle in front of their tents, in preparation for an Indian attack. The general used a single rank formation "because in Indian warfare, where there is no shock to resist, one rank is nearly as good as two." The weary troops built no entrenchments or breastworks to protect the camp, and Harrison had not taken the precaution of posting extra sentries around the camp. C	When the Indians' attack came at 0400 on 7 November, the Indians overwhelmed the pickets. As the surviving sentries rushed back to camp, the Indians pursued, yelling "like wolves, wild cats and screech owls" as they came. Some of the troops were "tardy" forming into their line and "had to contend with the enemy in the doors of their tents." In the process, the men became silhouetted against the background of their camp fires. One soldier wrote that "it was truly unfortunate that these fires were not extinguished the moment the troops retired to rest; for it is certain that the Indians derived a great advantage from this circumstance in the course of the action." The sudden onslaught threw the men into disorder "before they could be formed in any regular order." The Indians made four or five fierce charges on the army's lines, yelling and screaming as they advanced, shooting bullets and arrows into the American ranks. The result, reported Harrison, was "monstrous carnage." Harrison was surprised by the Indians' ferocity, but he soon restored order. Many militiamen rallied at the sight of the regulars standing their ground, despite being inexperienced in Indian warfare themselves. After a charge by dismounted Kentucky dragoons failed to dispel the Indians, Capt. Josiah Snelling of the 4th Infantry led a charge at the head of his company and drove back the Indians for a short time. The troops maintained a steady fire at the warriors, who "were severely galled by the steady and well directed fire of the troops," reported a regular officer. 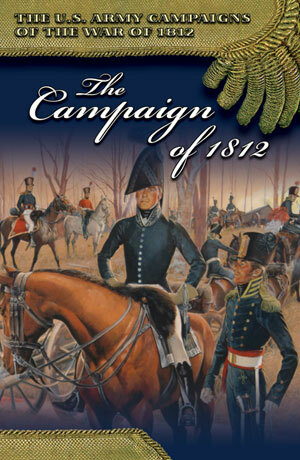 Harrison's infantry fired cartridges of twelve-buck shot, "which were admirably calculated for a night action" in which the enemy was difficult to spot. As dawn broke, the Indians made a last attempt to break the American line, but part of the 4th Infantry under Maj. Samuel Wells gave three cheers and launched a bayonet attack supported by a detachment of dragoons that finally put Tenskwatawa's warriors "to a precipitate flight." Harrison elected not to pursue the enemy, but instead tended to the casualties and erected a four-foot-high breastwork around the camp to deter another assault. Although some of the Indiana units performed poorly during the battle, Harrison wrote that "several of the militia companies were in no wise inferior to the regulars." 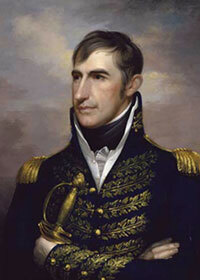 He reported that thirty-eight Indians were found dead on the battlefield, while thirty-seven Americans had been killed. Twenty-five soldiers died of wounds, and one hundred twenty-six suffered nonfatal wounds. Many of the soldiers' wounds were slow to heal, leading surgeons to surmise that Indian warriors had used poisoned ammunition. Additionally, some of the musket balls extracted from the soldiers' wounds appeared to have been "chewed before they were inserted into rifles for the purpose of enlarging the wound and lacerating the contiguous flesh." On the day after the battle, 8 November, Harrison sent a detachment of mounted men to Prophetstown. 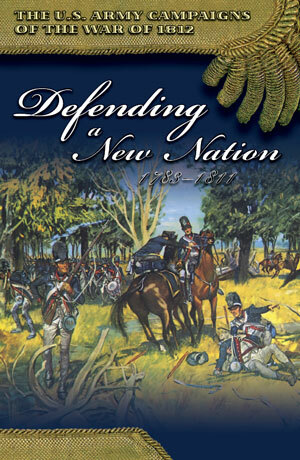 The dragoons entered the town and found only an aged woman, who informed them that the Indians had left in haste immediately after the action. After loading food supplies in the army's wagons, Harrison burned the village before beginning the journey back to Vincennes the next day, low on provisions and fearful of a renewed Indian attack. Some of the troops resorted to eating horse meat during the last few days of the march, but the troops finally reached the town by 19 November. Although defeated, Tenskwatawa's Indians remained a potent threat, and by January 1812, the mystic's followers had rebuilt Prophetstown. 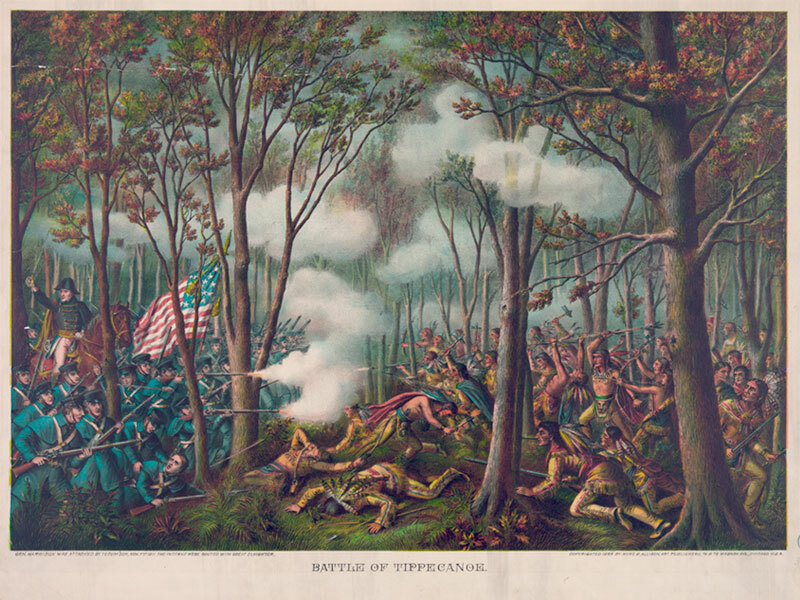 In the spring, attacks against settlers and outposts resumed, which made the result of the battle of Tippecanoe ambiguous at best. 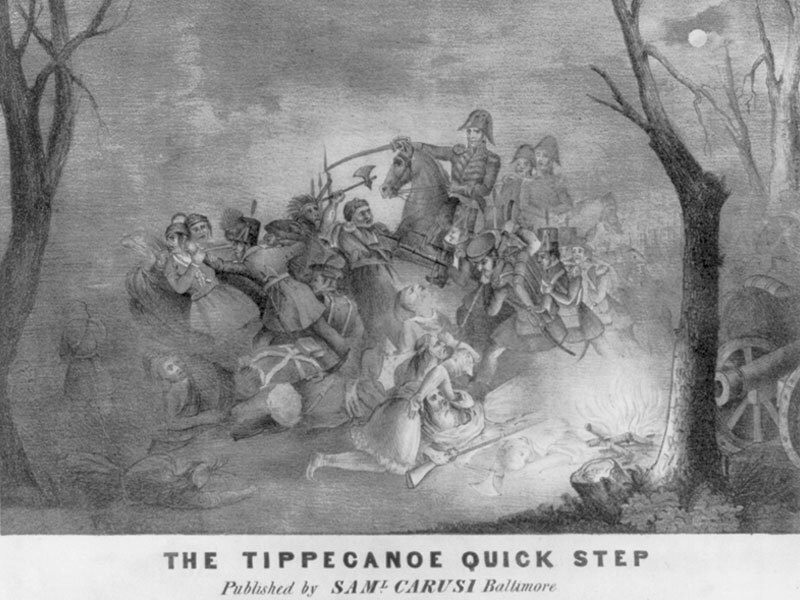 William Henry Harrison leading attack in Battle of Tippecanoe, Nov. 6, 1811.